Rich and bright colors, golden braids, luscious deep blues as in medieval scriptures and paintings ! 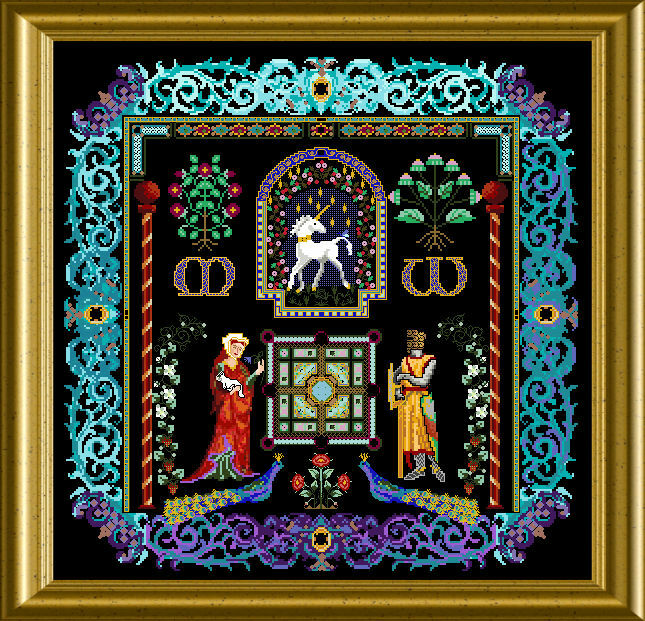 You stitch a collection of medievally inspired ornaments and figures – together with an alphabet with which you can personalize this embroidery.A noble knight and his lady frame a small Mandala garden – the Unicorn as a beloved symbol in these times can be seen under an arch of roses….. The single motives lead themselves to being used separately too – for postcards, small boxtops etc. 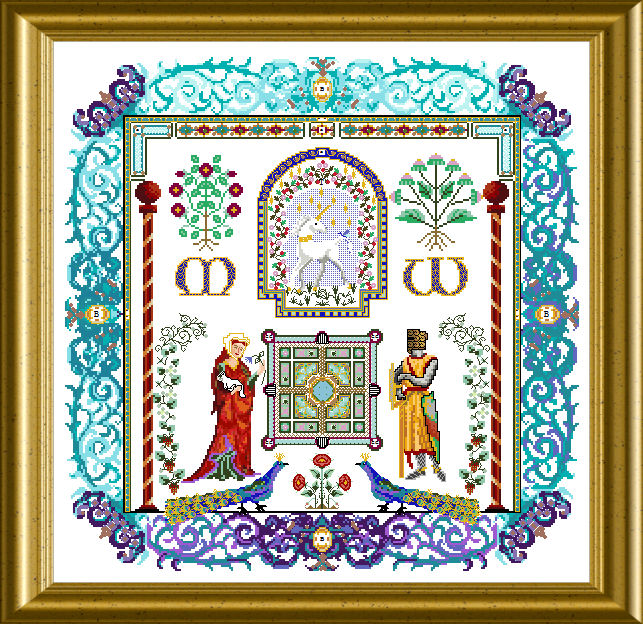 The mere embroidery size is 257 x 257 stitches.